Combine academic study with work-based learning. Develop the skills and knowledge required by the versatile musician working in today's music environments. Graduate and immediately apply for jobs or progress to an honours degree. This two-year course combines academic study with work-based learning and it is designed with job opportunities for musicians in mind. At the end of the course, you could immediately apply for a job. Alternatively, you could progress to the BA (Hons) Music (Top-Up) at the University of Sunderland. This would ‘top-up’ your qualification to an honours degree, with one year of additional study at the University. Teaching methods include creative projects, skills training, lectures, seminars, workshops and e-learning. Assessment methods include exercises in arranging, compositions, essays and coursework. For anyone who has a passion for performing, a degree in Performing Arts can be your path to a fulfilling and hugely engaging career. Here at the University of Sunderland, our Performing Arts department has a proud history of delivering quality degrees that are an immersive, enlightening and interactive experience for students. We place a strong emphasis on ensuring you have the skills and experience that will catch the eye of a wide range of employers and prepare you to start your career from the moment you graduate. As a result, our graduates have gone on to enjoy careers in a range of varied and diverse careers including performance, management, education and many more. Why work in the creative sector? Thinking about a creative degree but unclear about the career prospects? Here are some compelling reasons for a career in the creative sector. The course is delivered at Sunderland College, which has specialist facilities for music, dance and drama alongside excellent IT and library resources. As a student, you will also have access to the library and resources at the University of Sunderland. 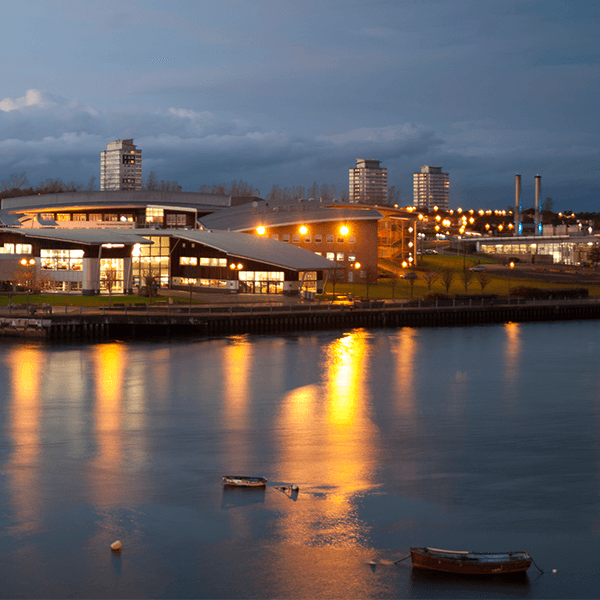 Sunderland College is a world-class provider of education, with five campuses located across the city. Please contact Sunderland College for more information about facilities and location. The course is delivered at Sunderland College, which has specialist facilities for music alongside excellent IT and library resources. As a student, you will also have access to the library and resources at the University of Sunderland. Our typical offer is 56 UCAS points from a minimum of 2 GCSEs/A Level/AVCE or equivalent. We will also accept PPP at BTEC Extended Diploma level. We also require 2 passes at GCSE grade C or above, which must include Mathematics and English Language, or a minimum of Level 2 Key Skills in Communication and Application of Number. If you have studied for a GCSE which has a numerical grade then you will need to achieve a grade 4 or above. Please note that this course is not available to international students. If you need support or have any queries about applying for your finances for this partner college programme, or want to get in touch with our Partnership Liaison team, you can find out more in our Help and Advice article. You are viewing entry requirements for visitors from United States. Not from United States? Change your country preferences. This course provides skills and knowledge that are directly relevant to the all-round, versatile musician working in today's music environments. The range of potential careers includes performing, teaching, arts management and entrepreneurship in the creative sector. Work experience is a core element of several of the modules. You will have the opportunity to perform in a number of venues such as mainstream and special schools, local pubs and clubs, care homes, parks and other open air venues. Possible placement providers include performance venues, schools and community centres. If you choose to continue your studies at the end of the course, there is a natural progression to the Music (Top-Up) course at the University of Sunderland. This would ‘top-up’ your qualification to an honours degree, with one year of additional study at the University.